This morning, I woke up and I saw all these posts on internet on International Women’s Day. The theme this year is Inspiring Change and gender equality. I believe this is a bit outdated. We have come a long way – I believe the theme for me is – Being the change. Being Equal. Sheryl Sandberg, COO of Facebook, rightly points out a word used for women – “She is Bossy”. And is also correct that there is no such negative term for men. The point is what is “Being Bossy “- is this a woman who says what’s on her mind, mobilizes the team and gives them instructions to get the job done, is committed to excellence in her work. Then Be Bossy! For me, I always have more regrets when I have something to say and didn’t say for the fear of not fitting in or complying to the outdated stereotypes. I also take the responsibility on myself to break that stereotype – I can’t wait for anyone or Sheryl to come and help me – I say what I have to say and deal with the negative consequences if any. Our daughters and the younger generation need to know the labels in the world mean nothing. We are who we show up as – the choice is being a doer or being a critic. My advise Be the doer. Be the change. Brene Brown’s TED talk “Listening to Shame” made a profound impact on me. She says , “For women, shame is do it all, do it perfectly and never let them see you sweat. For men, shame is not a bunch of competing, conflicting expectations. Shame is one, do not be perceived as Weak”. I loved this. Simple and profound. Both genders have issues. Just different. I think the more we try to separate men and women, the more the world will stay the same. As women, lets be compassionate to our own – you don’t need to be a superwoman, you are perfect just the way you are – bossy or not. For men, I don’t think they need to be strong all the time. That is also expecting them to be superman. Lets show them it is ok to cry! We can do that – Right Girls ? 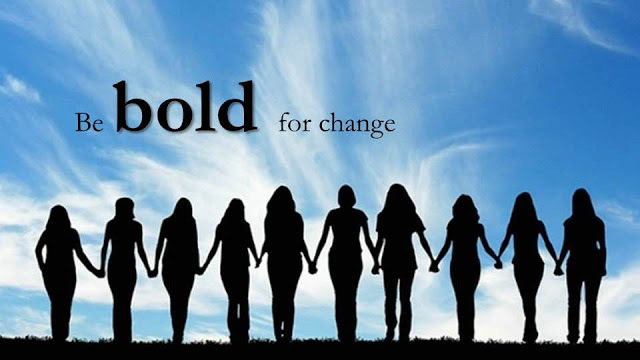 Happy International Women’s Day 2014. ← Deja vu all over again? How sustainable is this current app ecosystem?